Right now the Queens’ real estate market is feeling pretty tight to say the least. If you or someone you know has been searching for a home, they can tell you all about it. Inventory is much lower than 2014 levels so we’re experiencing a lot of multiple offers, bidding wars, etc. For Queens’ home owners, this is a great opportunity to maximize the return on your home investment because the low inventory levels and low interest rates can’t last forever. However, for Queens’ home buyers, this is a tough market to jump in to. You need to be pre-approved, have all your documents in order, move fast when something hits the market, and be ready to pull the trigger once you find a place that meets your needs. While the economy as a whole appears to have gotten a slow start, consumer confidence does not appear to have significantly wavered and the employment situation has continued to show improvement in Queens. The current interest rate environment will likely persist for some time as the first quarter’s weak economic growth will likely force the Federal Reserve to delay putting upward pressure on rates. *Month’s supply over 6 months is said to favor buyers, month’s supply below 6 months is said to favor sellers, and month’s supply of 5-6 months is said to be a balanced market. 30-year interest rates remain below 4% and continue to slowly decline as the strengthening dollar and low inflation put downward pressure on rates. Currently, Freddie Mac reports the following figures: 30-year fixed rate, 3.66%; 15-year fixed rate, 2.92%; 5/1-year adjustable rate, 2.84%. The seasonally adjusted annualized rate of Queens home sales decreased 16.7% in April to a pace of 550 homes according to data published by the Long Island Board of Realtors. This was 2.1% lower than the same time last year. With interest rates at incredibly low levels and continuing to decline, the housing market has seen good numbers at the beginning of the year and is likely headed toward a strong summer season as long as more inventory hits the market. Residential home sales are up 2%, Condo home sales are down 9.4%, and Coop home sales are down 6.3% from the same time last year. The median home price reported by the Long Island Board of Realtors remained the same in April at $400,000. Prices are 12.5% higher than the same month of the previous year. The magnitude of price increases continues to expand despite modest growth in the number of listings on the market but mainly due to the demand that is still outpacing inventory. Residential home prices are up 8.2%, Condo home prices are up 20.5%, and Coop home prices are up 9.8% from the same time last year. The number of homes available decreased 25.6% compared to the same month of the previous year, with 4,264 Queens homes available for sale in April. This translated to 6.7 months of supply. Historically, inventory typically remains low during February & March due to the cool weather and then loosens as the weather warms in April. We should start to see this number improve as we move into the summer. 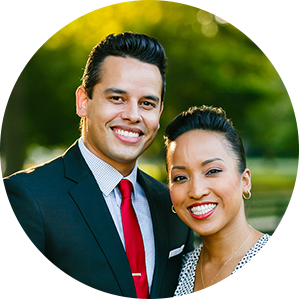 Blog Courtesy of George & Abigail Herrera w/the Queens Home Team at Keller Williams Realty Landmark II.